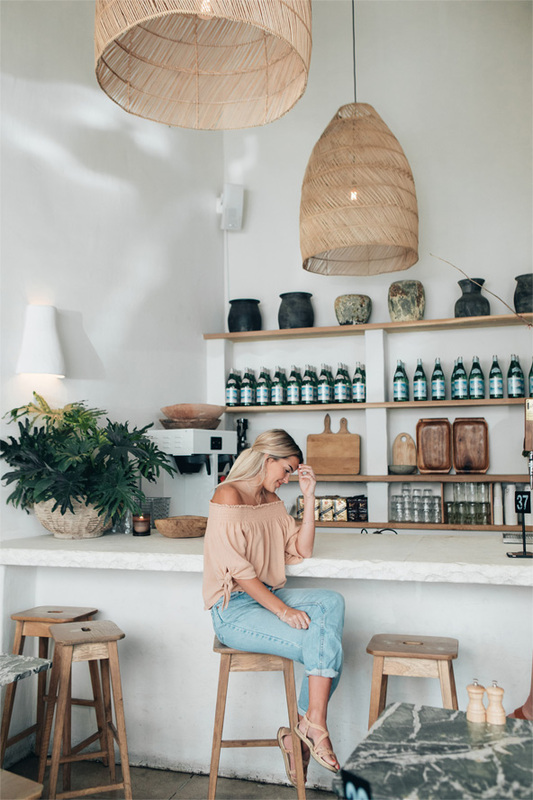 When in Venice, I love stopping into Great White, a charming modern-meets-rustic cafe at Venice Beach. Natural wood, sun-washed colors and light fixtures with exposed lightbulbs capture the area’s relaxed vibe, echoed by a healthy approach to food and drink. On the menu are avocado toast, fish tacos, a blue smoothie bowl colored with blue algae, green grain bowl, and Coco chop salad. 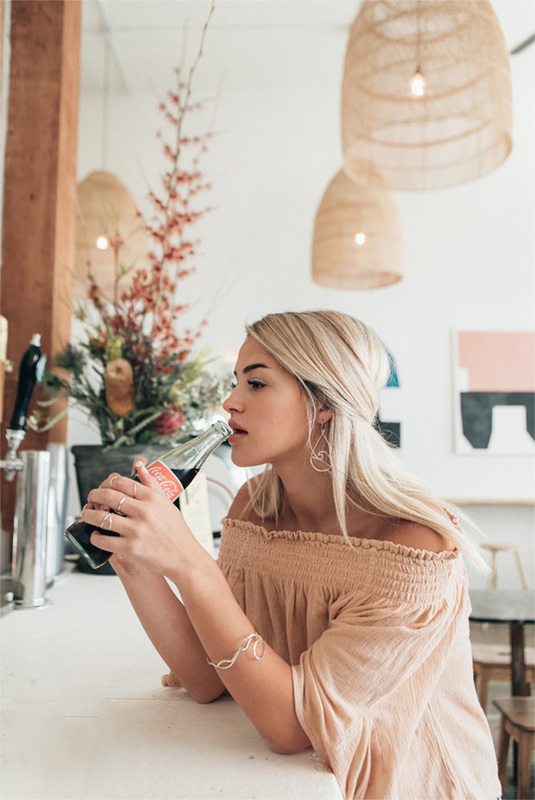 On hot days, cool off with a shaken iced latte, chilled golden turmeric latte, housemade lemonade, smoothies, kombucha on tap, or Mexican soda. Australian owners Sam Trude and Sam Cooper also make sure there’s always Vittoria coffee available. Great White is at 1604 Pacific Ave., Venice. [ki-ele] Paradise jewelry layers at the Great White. 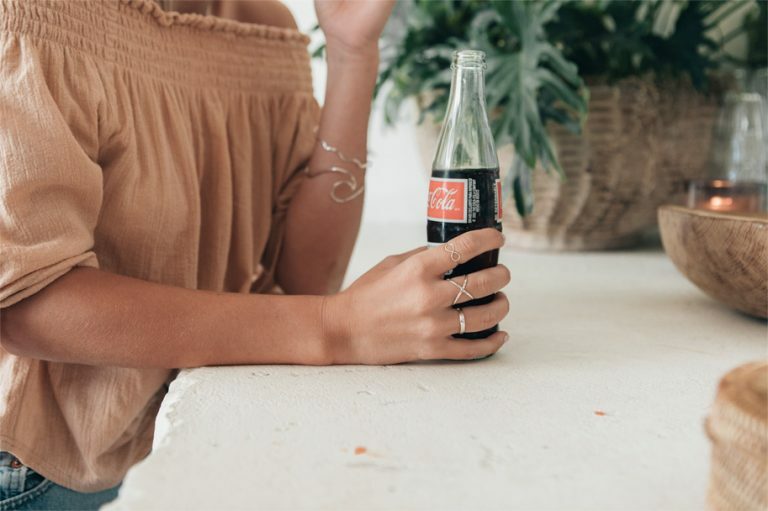 where [ki-ele] Organic rings meet [ki-ele] Paradise bangles over a classic bottle of Coca Cola. Santa Vittoria bottled water and Vittoria coffee line natural wood shelves. 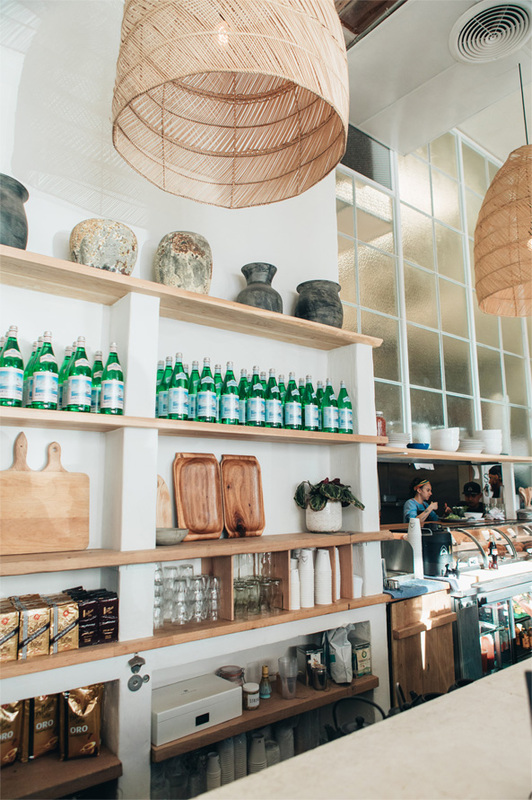 Modern-meets-rustic at this charming Venice cafe, also offering a relaxed vibe.